Dr. Wenjing Jia is currently a Senior Lecturer at the Faculty of Engineering and Information Technology (FEIT), University of Technology Sydney (UTS). She received her Bachelor degree in Communications Engineering from the Jilin University in 1999, her Master degree in Communications and Information System from Fuzhou University in 2002, and her PhD degree in Computing Sciences from UTS in 2007. Her research falls in the fields of image processing and analysis, computer vision and pattern recognition, with applications to: 1) medical ultra-sound image analysis, 2) car license plate detection in complex environment, 3) text detection in the wild, 4) violence detection from video, and 5) document authorship analysis. Over her research career, Dr. Jia has successfully led several research projects and published over eighty scientific papers in international journals and on conference proceedings. She has received the award of Excellent Master Thesis of Fuzhou University in 2002 and a Provincial Science and Technology Award in 2004 from her contribution to the area of biomedical image. 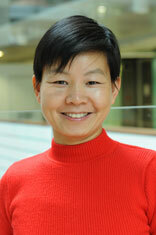 She has been a paper reviewer for journals including the IEEE Trans. on Image Processing and the IEEE Trans. on Intelligent Transportation Systems and international conferences. She has also played a major role in organising international conferences of TrustCom-2017, MMM2015, CIT2008, etc. At UTS, she has been a Cisco qualified instructor since 2008 and become a key member of the teaching team for internetworking-related subjects. She is enthusiastic in teaching and dedicated to helping students excel. She has successfully led two teaching and learning projects. Since 2012, she has also become a Cisco Certified Instructor Trainer and has run several instructor-training classes. Since 2015, she has been acting as the Course Coordinator and Academic Advisor of the undergraduate major of Internetworking and Applications. In 2016, she was appointed as the Deputy Head - Teaching and Learning of the School of Computing and Communications. ©2018 John Wiley & Sons, Ltd. Regarding the current situation that the recognition rate of malware is decreasing, the article points out that the reason for this dilemma is that more and more targeting malware have emerged, which share little or no common feature with traditional malware. The premise of malware recognition judging whether a software is malicious or benign is actually a decision problem. We propose that malware discrimination should resort to the corresponding task or purpose. We first present a formal definition of a task and then provide further classifications of malicious tasks. Based on the decidable theory, we prove that task performed by any software is recursive and determinable. By establishing a mapping from software to task, we prove that software is many-to-one reducible to corresponding tasks. Thus, we demonstrate that software, including malware, is also recursive and can be determined by the corresponding tasks. Finally, we present the discrimination process of our method. Nine real malwares are presented, which were firstly discriminated by our method but at that time could not be identified by Kaspersky, McAfee, Symantec Norton, or Kingsoft Antivirus. © 2016 Elsevier B.V. A piece of malware code can be harmful in one's system but totally harmless in another's. In this paper, we point out that the detection of malicious code or software is actually a matter of discrimination which depends on the owners of the computer systems. We propose an owner based malicious software discrimination model, named as Unlimited Register Machine of Owners (URMO). First, we characterize and analyze the limitations of existing discrimination techniques in theory by using the discrimination model of Unlimited Register Machine (URM) and then move on to construct the URMO discrimination model by giving the two important elements of malicious behavior: an operation and the object of the operation. The relationship between an operation and the object of the operation is fundamental to solving the relativity of the discrimination problem about malice, which is also the advantage of the URMO model. Finally, by applying the model to discriminate real-world malware and comparing it with existing popular antivirus software, we demonstrate the effectiveness and superior performance of the URMO model. © 2017 Elsevier B.V. In this paper, we propose a novel semi-supervised learning framework for violence detection in video surveillance. With this framework, a classifier which distinguishes violent behavior from normal behavior can be trained using inexpensive unlabeled data with the assistance of human operators. Our approach can learn a single dictionary and a predictive linear classifier jointly. Specifically, we integrate the reconstruction error of labeled and unlabeled data, representation constraints and the coefficient incoherence into an objective function for dictionary learning, which enhances the representative and discriminative power of the established dictionary. This has contributed to that the dictionary and the classifier learned from the labeled set yield very small generalization error on unseen data. Experimental results on benchmark datasets have demonstrated the effectiveness of our approach in violence detection. © 2017 Elsevier B.V. Crimes with respect to ATMs (Automatic Teller Machines) have attracted more and more attention, where criminals deliberately cover their faces in order to avoid being identified. This paper proposes a fast and robust face occlusion detection algorithm for ATM surveillance, which is demonstrated to be effective and efficient to handle arbitrarily occluded faces. In this algorithm, we innovatively propose to make use of the Omega shape formed by the head and shoulder of the person for head localization to tackle severe face occlusion. For this purpose, we first construct a novel energy function for elliptical head contour detection. Then, we develop a fast and robust head tracking algorithm, which utilizes the gradient and shape cues in a Bayesian framework. Lastly, to verify whether a detected head is occluded or not, we propose to fuse information from both skin color and face structure using the AdaBoost algorithm. Experimental results on real world data show that our proposed algorithm can achieve 98.64% accuracy on face detection and 98.56% accuracy on face occlusion detection, even though there are severe occlusions in faces, at a speed of up to 12 frames per second. © 2018, Springer Science+Business Media, LLC, part of Springer Nature. Road sign detection plays a critical role in automatic driver assistance systems. Road signs possess a number of unique visual qualities in images due to their specific colors and symmetric shapes. In this paper, road signs are detected by a two-level hierarchical framework that considers both color and shape of the signs. To address the problem of low image contrast, we propose a new color visual saliency segmentation algorithm, which uses the ratios of enhanced and normalized color values to capture color information. To improve computation efficiency and reduce false alarm rate, we modify the fast radial symmetry transform (RST) algorithm, and propose to use an edge pairwise voting scheme to group feature points based on their underlying symmetry in the candidate regions. Experimental results on several benchmarking datasets demonstrate the superiority of our method over the state-of-the-arts on both efficiency and robustness. Decomposing a document written by more than one author into sentences based on authorship is of great significance due to the increasing demand for plagiarism detection, forensic analysis, civil law (i.e., disputed copyright issues), and intelligence issues that involve disputed anonymous documents. Among existing studies for document decomposition, some were limited by specific languages, according to topics or restricted to a document of two authors, and their accuracies have big room for improvement. In this paper, we consider the contextual correlation hidden among sentences and propose an algorithm for Sequential and Unsupervised Decomposition of a MultiAuthor Document (SUDMAD) written in any language, disregarding topics, through the construction of a Hidden Markov Model (HMM) reflecting the authors' writing styles. To build and learn such a model, an unsupervised, statistical approach is first proposed to estimate the initial values of HMM parameters of a preliminary model, which does not require the availability of any information of author's or document's context other than how many authors contributed to writing the document. To further boost the performance of this approach, a boosted HMM learning procedure is proposed next, where the initial classification results are used to create labeled training data to learn a more accurate HMM. Moreover, the contextual relationship among sentences is further utilized to refine the classification results. Our proposed approach is empirically evaluated on three benchmark datasets that are widely used for authorship analysis of documents. Comparisons with recent stateoftheart approaches are also presented to demonstrate the significance of our new ideas and the superior performance of our approach. © 2013 IEEE. Person re-identification (ReID), aiming to identify people among multiple camera views, has attracted an increasing attention due to the potential of application in surveillance security. Large variations in subjects' postures, view angles, and illuminating conditions as well as non-ideal human detection significantly increase the difficulty of person ReID. Learning a robust metric for measuring the similarity between different person images is another under-addressed problem. In this paper, following the recent success of part-based models, in order to generate a discriminative and robust feature representation, we first propose to learn global and weighted local body-part features from pedestrian images. Then, in the training phase, angular loss and part-level classification loss are employed jointly as a similarity measure to train the network, which significantly improves the robustness of the resultant network against feature variance. Experimental results on several benchmark data sets demonstrate that our method outperforms the state-of-the-art methods. Automatic violence detection from video is a hot topic for many video surveillance applications. However, there has been little success in developing an algorithm that can detect violence in surveillance videos with high performance. In this paper, following our recently proposed idea of motion Weber local descriptor (WLD), we make two major improvements and propose a more effective and efficient algorithm for detecting violence from motion images. First, we propose an improved WLD (IWLD) to better depict low-level image appearance information, and then extend the spatial descriptor IWLD by adding a temporal component to capture local motion information and hence form the motion IWLD. Second, we propose a modified sparse-representation-based classification model to both control the reconstruction error of coding coefficients and minimize the classification error. Based on the proposed sparse model, a class-specific dictionary containing dictionary atoms corresponding to the class labels is learned using class labels of training samples. With this learned dictionary, not only the representation residual but also the representation coefficients become discriminative. A classification scheme integrating the modified sparse model is developed to exploit such discriminative information. The experimental results on three benchmark data sets have demonstrated the superior performance of the proposed approach over the state of the arts. © 2015 Springer Science+Business Media New York Automatic violence detection from video is a hot topic for many video surveillance applications. However, there has been little success in designing an algorithm that can detect violence in surveillance videos with high performance. Existing methods typically apply the Bag-of-Words (BoW) model on local spatiotemporal descriptors. However, traditional spatiotemporal features are not discriminative enough, and also the BoW model roughly assigns each feature vector to only one visual word and therefore ignores the spatial relationships among the features. To tackle these problems, in this paper we propose a novel Motion Weber Local Descriptor (MoWLD) in the spirit of the well-known WLD and make it a powerful and robust descriptor for motion images. We extend the WLD spatial descriptions by adding a temporal component to the appearance descriptor, which implicitly captures local motion information as well as low-level image appear information. To eliminate redundant and irrelevant features, the non-parametric Kernel Density Estimation (KDE) is employed on the MoWLD descriptor. In order to obtain more discriminative features, we adopt the sparse coding and max pooling scheme to further process the selected MoWLDs. Experimental results on three benchmark datasets have demonstrated the superiority of the proposed approach over the state-of-the-arts. Violence detection is a hot topic for surveillance systems. However, it has not been studied as much as for action recognition. Existing vision-based methods mainly concentrate on violence detection and make little effort to determine the location of violence. In this paper, we propose a fast and robust framework for detecting and localizing violence in surveillance scenes. For this purpose, a Gaussian Model of Optical Flow (GMOF) is proposed to extract candidate violence regions, which are adaptively modeled as a deviation from the normal behavior of crowd observed in the scene. Violence detection is then performed on each video volume constructed by densely sampling the candidate violence regions. To distinguish violent events from nonviolent events, we also propose a novel descriptor, named as Orientation Histogram of Optical Flow (OHOF), which are fed into a linear SVM for classification. Experimental results on several benchmark datasets have demonstrated the superiority of our proposed method over the state-of-the-arts in terms of both detection accuracy and processing speed, even in crowded scenes. Text in an image provides vital information for interpreting its contents, and text in a scene can aid a variety of tasks from navigation to obstacle avoidance and odometry. Despite its value, however, detecting general text in images remains a challenging research problem. Motivated by the need to consider the widely varying forms of natural text, we propose a bottom-up approach to the problem, which reflects the characterness of an image region. In this sense, our approach mirrors the move from saliency detection methods to measures of objectness. In order to measure the characterness, we develop three novel cues that are tailored for character detection and a Bayesian method for their integration. Because text is made up of sets of characters, we then design a Markov random field model so as to exploit the inherent dependencies between characters. We experimentally demonstrate the effectiveness of our characterness cues as well as the advantage of Bayesian multicue integration. The proposed text detector outperforms state-of-the-art methods on a few benchmark scene text detection data sets. We also show that our measurement of characterness is superior than state-of-the-art saliency detection models when applied to the same task. Fine text detection plays a crucial role in a text detection algorithm as it is capable of removing the false alarms while keeping the detected text lines in coarse text detection. Good performance of a machine learning-based fine text detection heavily depends on the powerful feature to depict the characteristics of text. In this paper, a novel texture-based descriptor, named IT-LBP, is proposed by considering horizontal, vertical, diagonal and anti-diagonal directions of character strokes to better describe the texture of text. The new feature demonstrates its superiority by comparing with other texture-based features. The new feature is used to train an SVM classifier to further filter out non-text candidates. The ICDAR 2011 born-digital image dataset is used to evaluate and demonstrate the performance of the proposed method. Following the same performance evaluation criteria, the proposed method outperforms the winner algorithm of the ICDAR 2011 Robust Reading Competition Challenge 1. Head detection in images and videos plays an important role in a wide range of computer vision and surveillance applications. Aiming to detect heads with arbitrarily occluded faces and head pose, in this paper, we propose a novel Gaussian energy function based algorithm for elliptical head contour detection. Starting with the localization of head and shoulder by an improved Gaussian Mixture Model (GMM) approach, the precise head contour is obtained by making use of the Omega shape formed from the head and shoulder. Experimental results on several benchmark datasets demonstrate the superiority of the proposed idea over the state-of-the-art in both detection accuracy and processing speed, even though there are various types of severe occlusions in faces. Detecting unseen illegal codes is always a challenging task. As the main action to deal with this problem, the behavior detection is unsatisfactory in both effectiveness and efficiency. This paper proposes task-based behavior detection (TBBD) which detects new illegal codes based on the userâs task instead of only on the software behavior. First, the paper proposes three prerequisites of TBBD and four judgment rules, i.e., resource abnormal rule, relation abnormal rule, space abnormal rule and time abnormal rule. Then, by analyzing the effectiveness and comparison of the four judgment rules, we present an explicit judgment process of TBBD. Finally, the paper carries on the experiments. The test result verifies the validity and feasibility of TBBD. Much research about labeling schemes has been conducted to efficiently determine the ancestor-descendant relationships and the document-order between any two random XML nodes without re-labeling for updates. In this paper, we present an efficient XML encoding and labeling scheme for dynamic XML document, named Continued Fraction-based Encoding (CFE). The proposed CFE scheme labels nodes with continued fractions and has the following three important properties: (1) CFE codes can be inserted between any two consecutive CFE codes with the orders kept and without re-encoding the existing nodes; (2) CFE is orthogonal to specific labeling schemes, thus it can be applied broadly to different labeling schemes or other applications to efficiently process the updates; (3) CFE supports all structural relationships query in XPath. Two test data sets were built for evaluation. The experimental results show that CFE provides fairly reasonable XML query processing performance while completely avoiding relabeling for updates. Gradient-based edge detection is a straightforward method to identify the edge points in the original grey-level image. It is intuitive that in the human vision system the edge points always appear where the grey-level value is greatly changed. Spiral Architecture is a relatively new image data structure that is inspired from anatomical considerations of the primate's vision. In Spiral Architecture, each image is represented as a collection of hexagonal pixels. Edge detection on Spiral Architecture has features of fast computation and accurate localization. In this paper, we present and compare gradient-based edge detection algorithms on Spiral Architecture. The experimental results show that the edge detection on Spiral Architecture outperforms that on traditional square image structure. The most notable characteristic of the heart is its movement. Detection of dynamic information describing cardiac movement such as amplitude, speed and acceleration facilitates interpretation of normal and abnormal function. In recent years, the Omni-directional M-mode Echocardiography System (OMES) has been developed as a process that builds moving information from a sequence of echocardiography image frames. OMES detects cardiac movement through construction and analysis of PositionTime Grey Waveform (PTGW) images on some feature points of the boundaries of the ventricles. Image edge detection plays an important role in determining the feature boundary points and their moving directions as the basis for extraction of PTGW imagesSpiral Architecture (SA) has proved efficient for image edge detection. SA is a hexagonal image structure in which an image is represented as a collection of hexagonal pixels. There are two operations called spiral addition and spiral multiplication defined on SA. They correspond to image translation and rotation, respectively. In this paper, we perform ventricle boundary detection based on SA using various defined chain codes. The gradient direction of each boundary point is determined at the same time. PTGW images at each boundary point are obtained through a series of spiral additions according to the directions of boundary points. Unlike the OMES system, our new approach is no longer affected by the translation movement of the heart. As its result, three curves representing the amplitude, speed and acceleration of cardiac movement can be easily drawn from the PTGW images obtained. Our approach is more efficient and accurate than OMES, and our results contain a more robust and complete description of cardiac motion. Guo, S. & Jia, W. 2003, 'Edge Detection of Omnidirectional M-mode Echocardiography Images', Journal of Fuzhou University (Natural Science Edition), vol. 31, no. 5, pp. 539-543. Lin, Q., Zhang, L. & Jia, W. 2002, 'Omnidirectional Grey-Time Waveform System and Its Application in Ultrasound Echocardiography', Journal of Electronic Measurement and Instrument, vol. 16, no. 2, pp. 70-75. Jia, W. 2001, 'Dynamic Analysis of Cardio Echocardiography Images and its Implementation', Journal of Fuzhou University (Natural Science Edition), vol. 29, no. 5, pp. 32-35. Image segmentation techniques using graph theory has become a thriving research area in computer vision community in recent years. This chapter mainly focuses on the most up-to-date research achievements in graph-based image segmentation published in top journals and conferences in computer vision community. The representative graph-based image segmentation methods included in this chapter are classified into six categories: minimum-cut/maximum-flow model (called graph-cut in some literatures), random walk model, minimum spanning tree model, normalized cut model and isoperimetric graph partitioning. The basic rationales of these models are presented, and the image segmentation methods based on these graph-based models are discussed as the main concern of this chapter. Several performance evaluation methods for image segmentation are given. Some public databases for testing image segmentation algorithms are introduced and the future work on graph-based image segmentation is discussed at the end of this chapter. © 2013, IGI Global. Image segmentation techniques using graph theory has become a thriving research area in computer vision community in recent years. This chapter mainly focuses on the most up-to-date research achievements in graph-based image segmentation published in top journals and conferences in computer vision community. The representative graph-based image segmentation methods included in this chapter are classified into six categories: minimum-cut/maximum-flow model (called graph-cut in some literatures), random walk model, minimum spanning tree model, normalized cut model and isoperimetric graph partitioning. The basic rationales of these models are presented, and the image segmentation methods based on these graph-based models are discussed as the main concern of this chapter. Several performance evaluation methods for image segmentation are given. Some public databases for testing image segmentation algorithms are introduced and the future work on graph-based image segmentation is discussed at the end of this chapter. Image segmentation techniques using graph theory has become a thriving research area in computer vision community in recent years. This chapter mainly focuses on the most up-to-date research achievements in graph-based image segmentation published in top journals and conferences in computer vision community. The representative graph-based image segmentation methods included in this chapter are classified into six categories: minimum-cut/maximum-flow model (called graph-cut in some literatures), random walk model, minimum spanning tree model, normalized cut model and isoperimetric graph partitioning. The basic rationales of these models are presented, and the image segmentation methods based on these graph-based models are discussed as the main concern of this chapter. Several performance evaluation methods for image segmentation are given. Some public databases for testing image segmentation algorithms are introduced and the future work on graph-based image segmentation is discussed at the end of this chapter. © 2013, IGI Global. Spiral Architecture, a hexagonal image structure is a novel and powerful approach to machine vision system. The pixels on Spiral architecture are geometrically arranged using a 1D (Spiral) addressing scheme in an ascending order along a spiral-like curve. Spiral addition and Spiral multiplication are defined based on the Spiral addresses on Spiral Architecture. These two fundamental operations result in fast and easy translation, rotation and separation on images, and hence play very important roles for image processing on Spiral Architecture. Moreover, 2D coordinates according to rows and columns defined on Spiral Structure provide a good mapping to the ordinary 2D coordinates defined on the common square image structure. Therefore, how to convert the 1D Spiral addresses from and to the 2D coordinates on Spiral Architecture has become very important to apply the theory developed on a hexagonal image structure for image processing (e.g., rotation). In this paper, we perform a fast way to correctly locate any hexagonal pixel when its Spiral address is known, and compute the Spiral address of any hexagonal pixel when its location is known. As an illustration of the use of conversions, we demonstrate the accurate image translation and rotation using experimental results. © Springer Nature Switzerland AG 2018. Facial occlusion, such as sunglasses, mask etc., is one important factor that affects the accuracy of face recognition. Unfortunately, faces with occlusion are quite common in the real world. In recent years, sparse coding becomes a hotspot of dealing with face recognition problem under different illuminations. The basic idea of sparse representation-based classification is a general classification scheme in which the training samples of all classes were taken as the dictionary to represent the query face image, and classified it by evaluating which class leads to the minimal reconstruction error of it. However, how to balance the shared part and class-specific part in the learned dictionary is not a trivial task. In this paper we make two contributions: (i) we present a new occlusion detection method by introducing sparse representation-based classification model; (ii) we propose a new sparse model which incorporates the representation-constrained term and the coefficients incoherence term. Experiments on benchmark face databases demonstrate the effectiveness and robustness of our method, which outperforms state-of-the-art methods. Recently, many works have been published for counting people. However, when being applied to real-world train station videos, they have exposed many limitations due to problems such as low resolution, heavy occlusion, various density levels and perspective distortions. In this paper, following the recent trend of regression-based density estimation, we present a linear regression approach based on local Random Forests for counting either standing or moving people on station platforms. By dividing each frame into sub-windows and extracting features with ground truth densities as well as learned weights, we perform a linear transformation for counting people to overcome the perspective problems of the existing patch-based approaches. We present improvements against several recent baselines on the UCSD dataset and a dataset of CCTV videos taken from a train station. We also show improvements in speed compared with the state-of-the-art models based on detection and Deep Learning. and has also shown promising results. © 2015 IEEE. In this paper, we address the problem of human action recognition by representing image sequences as a sparse collection of patch-level spatiotemporal events that are salient in both space and time domain. Our method uses a multi-scale volumetric representation of video and adaptively selects an optimal space-time scale under which the saliency of a patch is most significant. The input image sequences are first partitioned into non-overlapping patches. Then, each patch is represented by a vector of coefficients that can linearly reconstruct the patch from a learned dictionary of basis patches. We propose to measure the spatiotemporal saliency of patches using Shannon's self-information entropy, where a patch's saliency is determined by information variation in the contents of the patch's spatiotemporal neighborhood. Experimental results on two benchmark datasets demonstrate the effectiveness of our proposed method. © Springer International Publishing Switzerland 2015. Fourier has been a powerful mathematical tool for representing a signal into an expression consist of sin and cos. Recently a new developed signal decomposition theory is proposed by Pro. Tao Qian named Adaptive Fourier Decomposition, which has the advantage in time frequency over Fourier decomposition and without the need for a fixed window size problem such as short-time frequency transform. Studies show that AFD can fast decompose signals into positive-frequency functions with good analytical properties. In this paper we apply AFD into image decomposition and reconstruction area first time in the literature, which shows a promising result and gives the fundamental prospect for image compression. superpixels and then aggregation is achieved using a cluster ensemble method. In this paper, a new framework for detecting text from webpage and email images is presented. The original image is split into multiple layer images based on the maximum gradient difference (MGD) values to detect text with both strong and weak contrasts. Connected component processing and text detection are performed in each layer image. A novel texture descriptor named T-LBP, is proposed to further filter out non-text candidates with a trained SVM classifier. The ICDAR 2011 born-digital image dataset is used to evaluate and demonstrate the performance of the proposed method. Following the same performance evaluation criteria, the proposed method outperforms the winner algorithm of the ICDAR 2011 Robust Reading Competition Challenge 1. Before the step for text recognition, a text image needs to be segmented into foreground containing only the text area and background. In this paper, a method is proposed for segmenting colour natural scene texts which suffer from a wide range of degradations with complex background. A text image is firstly processed by two 3-means clustering operations with different distance measurements. Then, a modified connected component (CC)-based validation method is used to obtain the text area after clustering. Thirdly, a proposed objective segmentation evaluation method is utilised to choose the final segmentation result from the two segmented text images. The proposed method is compared with other existing methods based on the ICDAR2003 public database. Experimental results show the effectiveness of the proposed method. Removing noise from a digital image is a challenging problem. Application of Gaussian Scale Mixtures (GSM) in the wavelet domain has been reported to be one of the most effective denoising algorithms, published to date. The performance of this algorithm depends on the chosen wavelet representation. In this paper, we introduce an improved wavelet pyramid representation based on the Battle-Lemarie wavelet which favors the GSM denoising performance. We present the experimental denoising results using the proposed pyramid representation, and they outperform state-of-the-art GSM denoising results reported in the literature. This paper proposes an intelligent system that is capable of automiatically detecting license plates from static images captured by a digital still camera. A supervised learning apporach is used to extract features from license plates, and both global feature and local feature are organized into a cascaded structure. In general, our framework can be divided into two stages. The first stage is constructed by extracting global correlation features and a posterior probability can be estimated to quickly determine the degree of resemblance between the evaluated image region and a license plate. The second stage is contructed by further extracting local dense-SIFT (dSIFT) features for AdaBoost supervised learning apporach and the slelected dSIFT features will be used to construct a stong classifier. Using dSIFT as a type of highly distinctive local feature, our algorithm gives high detection rate under various complex conditions. The proposed framework is compared with existing work and promising results are obtained. Removing noise from a digital image is a challenging problem. Application of Gaussian Scale Mixtures (GSM) in the wavelet domain has been reported to be one of the most effective denoising algorithms, published to date. In this paper we investigate the impact of overcomplete wavelet image representations on the GSM image denoising algorithm. We explore the desirable local characteristics of wavelet coefficients that can enhance the efficiency of GSM denoising and based on the findings, we devise an improved over-complete pyramid representation to enhance the GSM denoising performance. We present the experimental denoising results using the proposed pyramid representation, and they outperform state-of-the-art GSM denoising results reported in the literature. In this paper, we propose a training free license plate detection method. We use a challenging benchmark dataset for license plate detection. Unlike many existing approaches, the proposed approach is a training free method, which does not require supervised training procedure and yet can achieve a reasonably good performance. Our motivation comes from the fact that, although license plates are largely variant in color, size, aspect ratio, illumination condition and so on, the rear view of vehicles is mostly symmetric with regard to the vehicles central axis. In addition, license plates for most vehicles are usually located on or close to the vertical axis of the vehicle body along which the vehicle is nearly symmetric. Taking advantage of such prior knowledge, the license plate detection problem is made simpler compared to the conventional scanning window approach which not only requires a large number of scanning window locations, but also requires different parameter settings such as scanning window sizes, aspect ratios and so on. Fuzzy inference systems are of great interest to provide a consistent mathematical framework for the representation of imprecision in relation to objects, relationships, knowledge and aims, and are viewed as powerful tools for reasoning and decision-making. In this paper, we survey several fuzzy approaches in magnetic resonances image processing, with an aim to develop and validate multidimensional segmentation and filtering methodology for future research. We also briefly review a number of advances of fuzzy set theory in the MR image processing application domain. © 2010 IEEE. In this paper, a novel color coocurrence histogram method, named eCCH which stands for color cooccurence histogram at edge points, is proposed to describe the spatial-color joint distribution of images. Unlike all existing ideas, we only investigate the color distribution of pixels located at the two sides of edge points on gradient direction lines. When measuring the similarity of two eCCHs, the Gaussian weighted histogram intersection method is adopted, where both identical and similar color pairs are considered to compensate color variations. Comparative experimental results demonstrate the performance of the proposed eCCH in terms of robustness to color variance and small computational complexity. Kernel regression has been previously proposed as a robust estimator for a wide range of image processing tasks, including image denoising, interpolation and superresolution. In this article we propose a kernel formulation that relaxes the usual symmetric and unimodal properties to effectively exploit the smoothness characteristics of natural images. The proposed method extends the kernel support along similar image characteristics to further increase the robustness of the estimates. Application of the proposed method to image denoising yields significant improvement over the previously reported regression methods and produces results comparable to the state-ofthe-art denoising techniques. Edge detection plays an important role in image processing area. This paper presents a Canny edge detection method based on bilateral filtering which achieves better performance than single Gaussian filtering. In this form of filtering, both spatial closeness and intensity similarity of pixels are considered in order to prserve important visual cues provided by edges and reduce the sharpness of transitions in intensity values as well. In addition, the edge detection method proposed in this paper is achieved on sampled images represented on a real hexagon structure. Due to the compact and circular nature of hexagonal lattice, a better quality edge map is obtained on the hexagonal structure than common edge detection on square structure. Experimental results using proposed methods exhibit also the faster speed of detection on hexagonal structure. In this paper, to enable a fast and robust system for automatically recognizing license plates with various appearances, new and simple but efficient algorithms are developed to segment characters from extracted license plate images. Our goal is to segment characters properly from a license plate image region. Different from existing methods for segmenting degraded machine-printed characters, our algorithms are based on very weak assumptions and use no prior knowledge about the format of the plates, in order for them to be applicable to wider applications. Experimental results demonstrate promising efficiency and flexibility of the proposed scheme. This paper proposes a graph-based method for segmentation of a text image using a selected colour-channel image. The text colour information usually presents a twopolarity trend. According to the observation that the histogram distributions of the respective colour channel images are usually different from each other, we select the colour channel image with the histogram having the biggest distance between the two main peaks, which represents the main foreground colour strength and background colour strength respectively. The peak distance is estimated by the mean-shift procedure performed on each individual channel image. Then, a graph model is constructed on a selected channel image to segment the text image into foreground and background. The proposed method is tested on a public database, and its effectiveness is demonstrated by the experimental results. In human's expression recognition, the representation of expression features is essential for the recognition accuracy. In this work we propose a novel approach for extracting expression dynamic features from facial expression videos. Rather than utilising statistical models e.g. Hidden Markov Model (HMM), our approach integrates expression dynamic features into a static image, the Histogram Variances Face (HVF), by fusing histogram variances among the frames in a video. The HVFs can be automatically obtained from videos with different frame rates and immune to illumination interference. In our experiments, for the videos picturing the same facial expression, e.g., surprise, happy and sadness etc., their corresponding HVFs are similar, even though the performers and frame rates are different. Therefore the static facial recognition approaches can be utilised for the dynamic expression recognition. We have applied this approach on the well-known Cohn-Kanade AUCoded Facial Expression database then classified HVFs using PCA and Support Vector Machine (SVMs), and found the accuracy of HVFs classification is very encouraging. Canny edge detector is the most popular tool for edge detection and has many applications in the areas of image processing, multimedia and computer vision. The Canny algorithm optimizes the edge detection through noise filtering using an optimal function approximated by the first derivative of a Gaussian. It identifies the edge points by computing the gradients of light intensity function based on the fact that the edge points likely appear where the gradient magnitudes are large. Hexagonal structure is an image structure alternative to traditional square image structure. Because all the existing hardware for capturing image and for displaying image are produced based on square structure, an approach that uses linear interpolation described for conversion between square and hexagonal structures. Gaussian filtering together with gradient computation is performed on the hexagonal structure. The pixel edge strengths on the square structure are then estimated before the thresholds of Canny algorithm are applied to determine the final edge map. The experimental results show the edge detection on hexagonal structure using static and video images, and the comparison with the results using Canny algorithm on square structure. Spiral Architecture, a hexagonal image structure is a novel and powerful approach to machine vision system. The pixels on Spiral architecture are geometrically arranged using a 1D (Spiral) addressing scheme in an ascending order along a spiral-like curve. Spiral addition and Spiral multiplication are defined based on the Spiral addresses on Spiral Architecture. These two fundamental operations result in fast and easy translation, rotation and separation on images, and hence play very important roles for image processing on Spiral Architecture. Moreover, 2D coordinates according to rows and columns defined on Spiral Structure provide a good mapping to the ordinary 2D coordinates defined on the common square image structure. Therefore, how to convert the 1D Spiral addresses from and to the 2D coordinates on Spiral Architecture has become very important to apply the theory developed on a hexagonal image structure for image processing (e.g., rotation). In this paper, we perform a fast way to correctly locate any hexagonal pixel when its Spiral address is known, and compute the Spiral address of any hexagonal pixel when its location is known. As an illustration of the use of conversions, we demonstrate the accurate image translation and rotation using experimental results. © 2009 Springer Berlin Heidelberg. License plate recognition usually contains three steps, namely license plate detection/localization, character segmentation and character recognition. When reading characters on a license plate one by one after license plate detection step, it is crucial to accurately segment the characters. The segmentation step may be affected by many factors such as license plate boundaries (frames). The recognition accuracy will be significantly reduced if the characters are not properly segmented. This paper presents an efficient algorithm for character segmentation on a license plate. The algorithm follows the step that detects the license plates using an AdaBoost algorithm. It is based on an efficient and accurate skew and slant correction of license plates, and works together with boundary (frame) removal of license plates. The algorithm is efficient and can be applied in real-time applications. The experiments are performed to show the accuracy of segmentation. Edge detection plays an important role in the areas of image processing, multimedia and computer vision. Gradient-based edge detection is a straightforward method to identify the edge points in the original grey-level image. It is intuitive that, in the human vision system, the edge points always appear where the gradient magnitude assumes a maximum. Hexagonal structure is an image structure alternative to traditional square image structure. The geometrical arrangement of pixels on a hexagonal structure can be described as a collection of hexagonal pixels. Because all the existing hardware for capturing image and for displaying image are produced based on square structure, an approach that uses bilinear interpolation and tri-linear interpolation is applied for conversion between square and hexagonal structures. Based on this approach, an edge detection method is proposed. This method performs Gaussian filtering to suppress image noise and computes gradients on the hexagonal structure. The pixel edge strengths on the square structure are then estimated before Canny's edge detector is applied to determine the final edge map. The experimental results show that the proposed method improves the edge detection accuracy and efficiency. This paper proposes a novel method for human detection from static images based on pixel structure of input images. Each image is divided into four parts, and a weight is assigned to each part of the image. In training stage, all sample images including human images and non-human images are used to construct a Mahalanobis distance map through statistically analyzing the difference between the different blocks on each original image. A projection matrix will be created with Linear Discriminant Method (LDM) based on the Mahalanobis distance map. This projection matrix will be used to transform multi-dimensional feature vectors into one dimensional feature domain according to a pre-calculated threshold to distinguish human figures from non-human figures. In comparison with the method without introducing weights, the proposed method performs much better. Encouraging experimental results have been obtained based on MIT dataset and our own dataset. High accuracy and fast recognition speed are two requirements for real-time and automatic license plate recognition system. In this paper, we propose a hierarchically combined classifier based on an inductive learning based method and an SVM-based classification. This approach employs the inductive learning based method to roughly divide all classes into smaller groups. Then the SVM method is used for character classification in individual groups. Both start from a collection of samples of characters from license plates. After a training process using some known samples in advance, the inductive learning rules are extracted for rough classification and the parameters used for SVM-based classification are obtained. Then, a classification tree is constructed for further fast training and testing processes for SVM-based classification. Experimental results for the proposed approach are given. From the experimental results, we can make the conclusion that the hierarchically combined classifier is better than either the inductive learning based classification or the SVM-based classification in terms of error rates and processing speeds. In this paper, a novel colour edge cooccurrence histogram (CECH) method is proposed to match images by measuring similarities between their CECH histograms. Unlike the previous colour edge cooccurrence histogram proposed by Crandall and Luo (2004 ) we only investigate those pixels which are located at the two sides of edge points in their gradient direction lines and at a distance away from the edge points. When measuring similarities between two CECH histograms, a newly proposed Gaussian weighted histogram intersection (GWHI) method is extended for this purpose. Both identical colour pairs and similar colour pairs are taken into account in our algorithm, and the weights are decided by the larger distance between two colour pairs involved in matching. The proposed algorithm is tested for matching vehicle number plate images captured under various illumination conditions. Experimental results demonstrate that the proposed algorithm can be used to compare images in real-time, and is robust to illumination variations and insensitive to the model images selected. This paper proposes a refined Gaussian weighted histogram intersection for content-based image matching and applies the method for number plate categorization. Number plate images are classified into two groups based on their colour similarities with the model image of each group. The similarities of images are measured by the matching rates between their colour histograms. Histogram intersection (HI) is used to calculate the matching rates of histograms. Since the conventional histogram intersection algorithm is strictly based on the matching between bins of identical colours, the final matching rate could easily be affected by colour variation caused by various environment changes. In our recent paper , a Gaussian weighted histogram intersection (GWHI) algorithm has been proposed to facilitate the histogram matching via taking into account matching of both identical colours and similar colours. The weight is determined by the distance between two colours. When applied to number plate categorization, the GWHI algorithm demonstrates to be more robust to colour variations and produces a classification with much lower intra-class distance and much higher interclass distance than previous HI algorithms. However, the processing speed of this GWHI method is still not satisfying. In this paper, the GWHI method is further refined, where a colour quantization method is utilized to reduce the number of colours without introducing apparent perceptual colour distortion. New experimental results demonstrate that using the refined GWHI method, image categorization can be done more efficiently. This paper proposes a fast algorithm detecting license plates in various conditions. There are three main contributions in this paper. The first contribution is that we define a new vertical edge map, with which the license plate detection algorithm is extremely fast. The second contribution is that we construct a cascade classifier which is composed of two kinds of classifiers. The classifiers based on statistical features decrease the complexity of the system. They are followed by the classifiers based on Haar-features, which make it possible to detect license plate in various conditions. Our algorithm is robust to the variance of the illumination, view angle, the position, size and color of the license plates when working in complex environment. The third contribution is that we experimentally analyze the relations of the scaling factor with detection rate and processing time. On the basis of the analysis, we select the optimal scaling factor in our algorithm. In the experiments, both high detection rate (with low false positive rate) and high speed are achieved when the algorithm is used to detect license plates in various complex conditions. Hexagonal structure is different from the traditional square structure for image representation. The geometrical arrangement of pixels on hexagonal structure can be described in terms of a hexagonal grid. Hexagonal structure provides an easy way for image translation and rotation transformations. However, all the existing hardware for capturing image and for displaying image are produced based on square architecture. It has become a serious problem affecting the advanced research based on hexagonal structure. In this paper, we introduce a new virtual hexagonal structure. Based on this virtual structure, a more flexible and powerful image translation and rotation are performed. The virtual hexagonal structure retains image resolution during the process of image transformations, and does not introduce distortion. Furthermore, images can be smoothly and easily transferred between the traditional square structure and the hexagonal structure. Image translation and rotation are becoming essential operations in many application areas such as image processing, computer graphics and pattern recognition. Conventional translation moves image from pixels to pixels and conventional rotation usually comprises of computation-intensive CORDIC operations. Traditionally, images are represented on a square pixel structure. In this paper, we perform reversible and fast image translation and rotation based on a hexagonal structure. An image represented on the hexagonal structure is a collection of hexagonal pixels of equal size. The hexagonal structure provides a more flexible and efficient way to perform image translation and rotation without losing image information. As there is not yet any available hardware for capturing image and for displaying image on a hexagonal structure, we apply a newly developed virtual hexagonal structure. The virtual hexagonal structure retains image resolution during the process of image transformations, and almost does not introduce distortion. Furthermore, images can be smoothly and easily transferred between the traditional square structure and the hexagonal structure. This paper proposes an algorithm for real-time license plate detection. In this algorithm, the relatively easy car plate features are adopted including the simple statistical feature and Harr-like feature. The simplicity of the object features used is very helpful to real-time processing. The classifiers based on statistical features decrease the complexity of the system. They are followed by the classifiers based on Haar-like features, which makes the final classifier invariant to the brightness, color, size and position of license plates. The experimental results obtained by the proposed algorithm exhibit the encouraging performance. Using hexagonal grids to represent digital images have been studied for more than 40 years. Increased processing capabilities of graphic devices and recent improvements in CCD technology have made hexagonal sampling attractive for practical applications and brought new interests on this topic. The hexagonal structure is considered to be preferable to the rectangular structure due to its higher sampling efficiency, consistent connectivity and higher angular resolution and is even proved to be superior to square structure in many applications. Since there is no mature hardware for hexagonal-based image capture and display, square to hexagonal image conversion has to be done before hexagonal-based image processing. Although hexagonal image representation and storage has not yet come to a standard, experiments based on existing hexagonal coordinate systems have never ceased. In this paper, we firstly introduced general reasons that hexagonally sampled images are chosen for research. Then, typical hexagonal coordinates and addressing schemes, as well as hexagonal based image processing and applications, are fully reviewed. He, S, Jia, W, Lin, Q & Hintz, TB 2005, 'Detection of Heart Movement Manner Based on Hexagonal Image Structure', Proceedings of the First International Conference on Medical Imaging and Telemedicine, Middlesex University Press, Wuyi Mountain, P. R. China, pp. 28-31. Lin, Q., Jia, W. & Yang, X. 2002, 'A Method for Mining Data of Sequential Images--Rebuilding of Gray (Position)~time Function on Arbitrary Direction Lines', Proceedings of 2002 International Conference on Imaging Science, Systems, and Technology (CISST02), International Conference Imaging Science, Systems and Technology, CSREA Press, Las Vegas, Nevada, USA, pp. 3-6. Lin, Q., Jia, W. & Zhang, L. 2001, 'A Method for Detecting Dynamic Information of Sequential Images - Omnidirectional Gray-time Waveform and Its Applications in Echocardiographic Images', Proceedings of the International Conference on Imaging Science, Systems, and Technology (CISST01), International Conference Imaging Science, Systems and Technology, CSREA Press, Las Vegas, Nevada, USA, pp. 760-763.